One set price, no hidden extras, where the service and attention to detail is second to none. 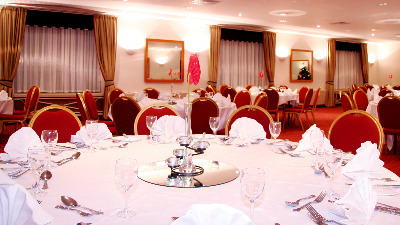 To take the hassle out of organising your next student event, let The Dragon Hotel work with you. Our award winning Chef and events team have produced a value-added package especially for student balls & events. A dedicated host, experienced in organising events, will help you plan your evening and ensure the smooth running of your event. A £300 bond is required prior to the event which will be refunded after the event provided that no damage has occurred to the hotel during the event. Hotel Security must be provided on the ratio of 1:50 students, at £75 per Security Personnel. Adult School Representatives to the ratio of 1:10 students is necessary in the event. Adult School Representatives necessary to sign the contract. ID will be necessary for bar service.